This story begins where the restless minds work the hardest (and incredibly clique), the empty highways of Middle-America on a brisk June morning. I was barreling down I-80 (on the way to New York City to start my summer internship) when a seemingly random thought suddenly occurred to me — why not create a hot sauce for Finmango? Finmango is the nonprofit company I’ve been working for since its inception; our mission is to contribute to eliminating poverty through financial empowerment. We’ve begun to accomplish this goal through financial literacy, educational empowerment, and positivity, as well as a multitude of other services. Currently, we’re operating in 13 countries and we vow that we will always be FREE! (visit finmango.org for more information). Anyways, back to the story. 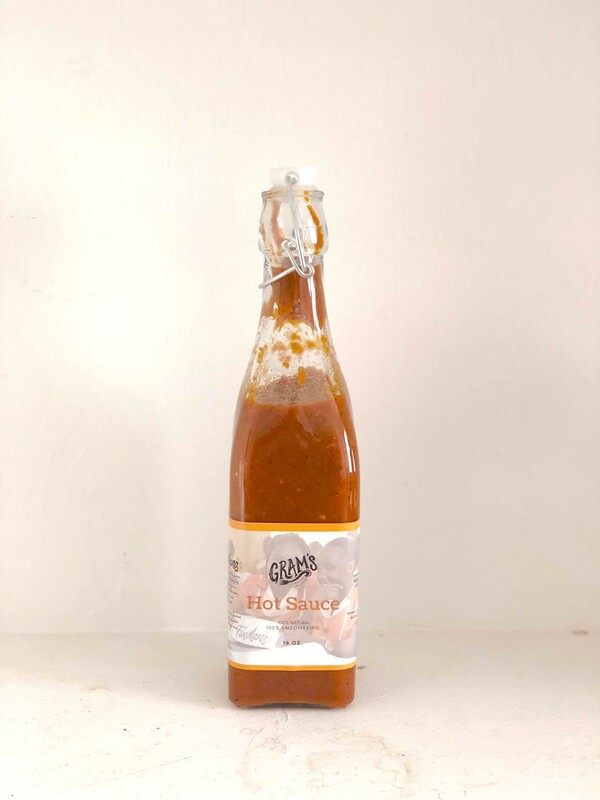 You must have a ton of questions — for example, how does a hot sauce and a nonprofit connect? I promise most of these questions will be demystified by the time you finish reading. 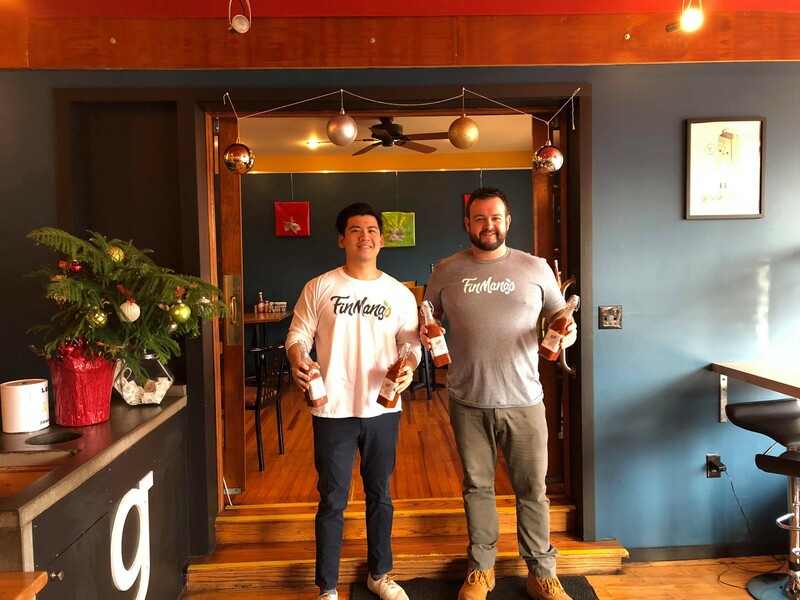 The reason I thought of a hot sauce for the organization came from Finmango’s founder and executive director’s (Scott Glasgow) emphatic enthusiasm for everything mango related. As ridiculous as it seems, anything with the word “mango” (Fin-mango, get it?) is now ingrained into my head. So when I had Gram’s Eatery’s (located in Lewisburg, PA — where I go to school) mango habanero hot sauce in May, the neural association automatically fired. As I was driving, I thought creating a hot sauce would be an innovative way to fundraise and communicate Finmango’s initiative. I immediately called Scott and proposed this idea and with his characteristic energy, he was on board. However, I carried this idea in my head the whole summer and nothing would come into fruition until the fall. Come August, I went to Jesse, the owner of Gram’s and proposed creating a collaborative hot sauce. He was in agreement that it was a great idea, as his wife had been pushing for him to sell the hot sauce, but he needed the food inspector to approve the hot sauce. So it would almost be another 3 months before we would finalize the details. As Thanksgiving break approached, Jesse and I ironed out the details for the hot sauce. I drove home where Scott and I started to market the hot sauce to our stakeholders, excited to create a food product. Keep in mind, Scott and I love food, especially the spicy stuff — we can eat for hours, literally. We were excited as can be to create value not only for ourselves but a great local business that perpetuated the sustainable values that we admired in small businesses. Finally, we got the bottles, and they were massive! 19 oz’s of glorious hot sauce in beautiful glass bottles and the labels looked amazing. Additionally, all the profits are going to our Fincubator program, a great new program that Finmango is rolling out in Uganda (link here for more details)! In the last few days, we shipped out the final bottles to ensure delivery before Christmas, as many of the bottles were gifts. In retrospect, I made the operational mistake of needing to deliver the sauce in a rush and I failed to realize how expensive they were to ship. However, the largest takeaway is not the hot sauce itself, but the road that it’s paved for future Finmango food operations. 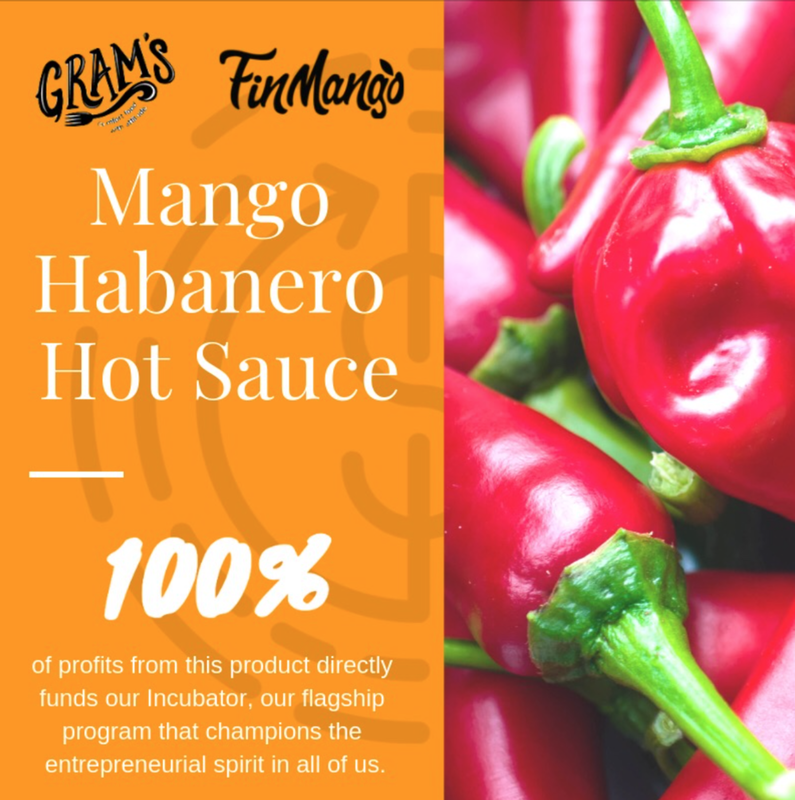 In the future, Gram’s Eatery has tentatively agreed to partner with Finmango with selling the hot sauce in their store and promoting our organization. This is an incredible first step in partnering with other restaurants and grocery stores. Why the emphasis on food? Finmango has come to realize that many of our clients and constituents in third world countries are farmers! Additionally, every culture in the world revolves around their cuisine. We work with Togo coffee bean farmers, ground-nut farmers in Gambia, and rice and vegetable farmers in Cambodia. Although these countries have localized food systems, which are the most sustainable type of food production, they are also the least economically viable. We want to help change this as an additional pillar of empowerment for our Finmango’s farming constituents. You see where I’m going? We champion the entrepreneurial spirit of all and facilitate the global citizen. In the future, Finmango is going to spearheading more food initiatives, and I believe we’re stepping in the right direction. Again, a big thank you to Gram’s Eatery for making this all happen. More updates to come with Finmango! A global non-profit dedicated to combating poverty worldwide with programs in financial literacy and entrepreneurship.